I must admit this wasn't a planned purchase.. it was a result of a serious panic that I had left my travel make-up bag at home and all I had was my NARS VD Palette, concealer and a lipstick! I knew I wasn't going to be home for a few days, so I headed to my local tesco and picked up a few beauty goodies to keep me going. 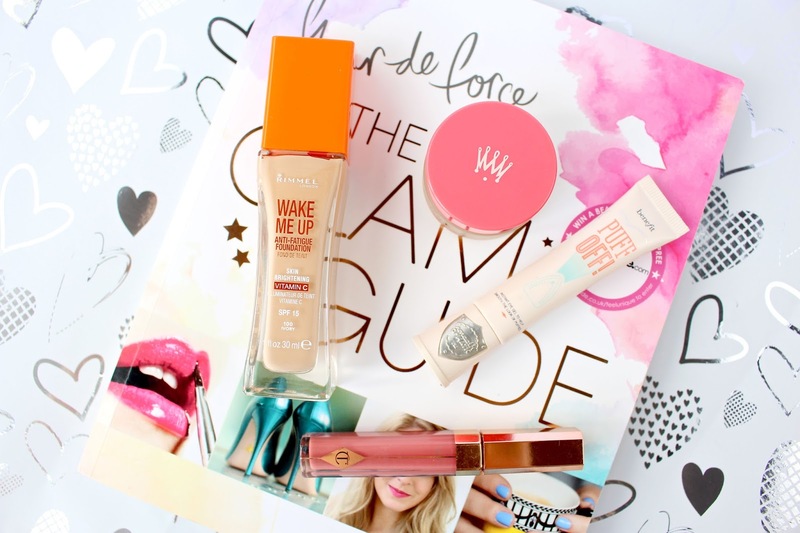 I knew this foundation was well loved in the blogosphere, so I decided to give it a whirl! I seriously haven't put it down since and it has replaced my Chanel foundation the past week. I actually have this in two shades now, so I'm thinking about doing a comparison post and full review in the next week or so! Now this is seriously something else! I have been a loyal fan to my Korres Lip Butter the past few years, but I have seriously fallen head over heels for this little beauty.. it's love! I can't believe I have waited so long to try this, but for some reason I had it in my head that it was like £20? I think for £9.50 it's a steal as it's such a miracle worker. My lips have been transformed from constantly being uneven and terribly dry! Keep an eye out for a full review. I hope you have enjoyed this post lovelies! I would love to hear what your current beauty favourites are at the moment and are any of them the same as mine? I hope you lovelies have a great week! 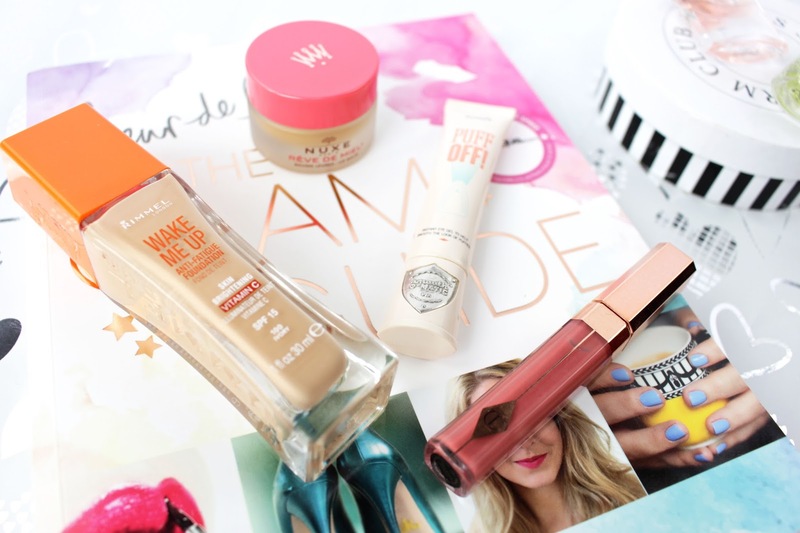 - Also.. a huge welcome if you are new from #bbloggers! i definitely am going to get that nuxe lip balm! Need some of these beauties in my cosmetics bag ! Thanks for commenting Hayley :) Glad you enjoyed! I love Nuxe Reve De Miel, yours has a cute pink lid too! Your pics are amazing , I have a canon t3i and still learning how to make my pics look like this , any tips ? I'm obsessed with the Glam Guide, it's beautiful! Thanks for the lovely comments on my blog! No problem lovely - I love it too ! But your telling me that is has replaced your CHANEL foundation? These all seem lovely and that sounds like a lovely foundation. I'm looking in to getting puff off as it seems amazing and perfect for me. I really need to try Benefit Puff Off but I have far too many eye creams to test after I finish the one I am using! i just started using the puff off as well, love it! To be host, I like your blog very much! I think that you do a great job! I know that blog requires much time, but keep doing it! Hola..la base de rimmel es buena..ella acabo de llegar aca en Argentina ahora!